Discussion in 'General AKB48 Discussion' started by ame-rin, May 2, 2011. Yasushi Akimoto (秋元 康 Akimoto Yasushi, born May 2, 1956) is a Japanese television writer, lyricist, record producer, professor and vice president at Kyoto University of Art and Design. He also created some of Japan's top idol groups, Onyanko Club and the AKB48 franchise. When Akimoto was a high school student, he became a television writer. He produced a lot of television programs such as Utaban. Akimoto started as a lyricist with The Alfee in 1981; he has written lyrics for various artists such as Kinki Kids, Tunnels, Onyanko Club, AKB48, SKE48 and SDN48. He also wrote Hibari Misora's last single during her lifetime, "Kawa no Nagare no Yō ni", and Jero's debut single "Umi Yuki". Akimoto is planning to launch a Taiwan version of AKB48 in summer 2011. The group is temporarily named Taiwan48. 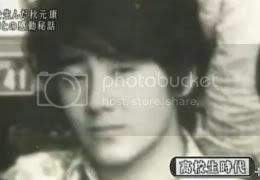 In 1988, Akimoto got married to Onyanko Club member Mamiko Takai. How come there was no thread for him before!! Don't we also need an Akimoto picture thread? You are the greatest LORD!! Yes, Aki-P deserved a thread! Happy birthday! Wow, he does look good. I'm still jealous that he married Takai Mamiko who is just like... perfection. Does that make me weird? Hear them 80's wotas roar!